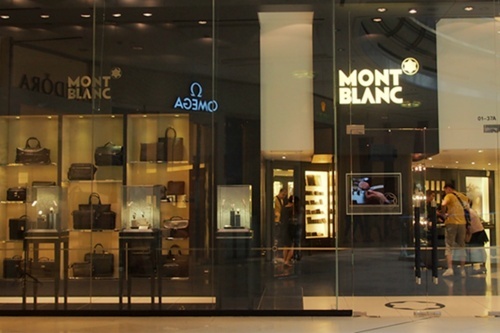 German luxury goods company Montblanc has five stores in Singapore, including one shop at Raffles City (252 North Bridge Road). Established in 1906 in Hamburg, Germany, and famous since 1924 when the now iconic Meisterstück fountain pen was launched, Montblanc has always been associated with world’s most sophisticated writing instruments. Montblanc, a name taken from the highest summit in the Alps, has expanded their product range over the years to several categories of lifestyle luxury goods. 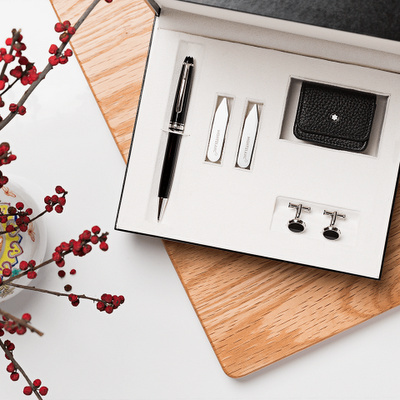 For example, in Singapore, in addition to the pens and writing instruments, you can purchase exquisite Montblanc watches, accessories, jewellery, eyewear, writing & desktop accessories, fragrances, and leather goods. Montblanc’s best-selling writing instruments collection includes luxurious fountain pens, mechanical pencils, document markers, ballpoint pens, rollerball pens, fine liner pens, as well as screenwriter pens (used on touch screens). All of the product categories, from writing instruments to unique luxury goods, are created to reflect the best quality designs, finest traditions, and masterful craftsmanship. 391 Orchard Road, #01-34, Takashimaya S.C.
Montblanc’s official, global Facebook page is located at www.facebook.com/montblanc. Following the Facebook page, you can keep up to date on the brand’s latest product introductions and global advertising campaigns.